Donna Brazile has caused a media storm with excerpts from her new book, Hacks: The Inside Story of the Break-ins and Breakdowns That Put Donald Trump in the White Hous e.
First, in an excerpt published on Politico on Thursday, the longtime Democratic strategist and former Democratic National Committee chairperson revealed the nature of an unethical 2015 agreement between Democratic presidential candiate Hillary Rodham Clinton and the DNC that gave Clinton control over the DNC’s strategy, finances and messaging long before she was the party’s presumptive nominee. Then, on Saturday, the Washington Post reported that Brazile also claims in her new book that she considered initiating a process to replace the Hillary Clinton-Tim Kaine ticket with Vice President Joe Biden and Sen. Cory Booker (D-N.J.). Brazile claims that she contemplated this step after Clinton fainted as she was leaving a 9/11 memorial service in New York City last year. We were shocked to learn the news that Donna Brazile actively considered overturning the will of the Democratic voters by attempting to replace Hillary Clinton and Tim Kaine as the Democratic Presidential and Vice Presidential nominees. It is particularly troubling and puzzling that she would seemingly buy into false Russian-fueled propaganda, spread by both the Russians and our opponent, about our candidate’s health. Donna came in to take over the DNC at a very difficult time. We were grateful to her for doing so. She is a longtime friend and colleague of many of us and has been an important leader in our party. But we do not recognize the campaign she portrays in the book. The 2016 presidential campaign was unlike any in our history. It was very difficult for our candidates and our staff. We are very proud that throughout the campaign and the aftermath the staff stuck together, worked as a team, and did the best we could for both Hillary Clinton and Tim Kaine. We did this for the simple reason that we thought Hillary Clinton would make the best President for the country we all love. We have now, as we did throughout the campaign, enormous love and pride for our candidate, Hillary Clinton. She, more than any of us, persevered through an incredibly difficult campaign and her commitment and stamina inspired us every day. 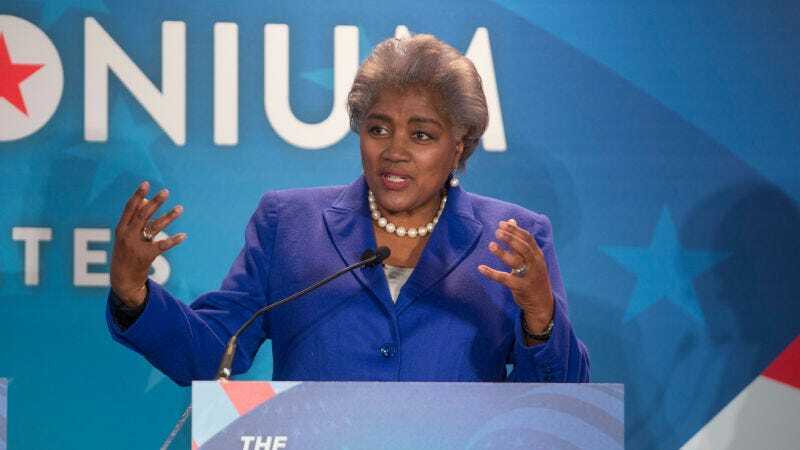 Brazile made the media rounds Sunday morning, insisting that she did not mean that the primary election was “rigged”—only that she had “found the cancer” within the DNC.